Eurocentres is a great school, very dynamic and you can meet a lot of people and cultures. I spent an amazing time here and i highly recommend to come here if you want to improve your English skills. I've been at Eurocentres Vancouver for 11 weeks and will leave the school at the end of next week. My 30 lessons a week are divided into (20 General English, 5 Business English, 5 Exam Skills). Whereas the general lessons are fix, a wide range of elective courses are available (Fluency, Business English, Reading and Writing, Exam Skills etc). The possibility to change the elective courses gives you the chance to learn different things and meet new people. Eurocentres Vancouver is located in the heart of Vancouver (3 Minutes from Waterfront Station). Coffee shops, food courts and grocery stores are nearby. The teachers design interesting and interactive lessons and encourage the students to participate in class. Thanks to the small classes it's easy to get to know each other very quickly and after 11 weeks it feels like a small family. Weekly activities are organized as a contrast to the brain work. Unfortunately, due to insufficient participants, not all activities take place. Despite the cold and wet weather, I recommend Eurocentres Vancouver to everyone! Thank you Ryan, Nyky, Mathew and Mike for the great time and your patience. I've learned not only in the professional way, but in the social way. I've met a lot of interesting and amazing people from around the world. 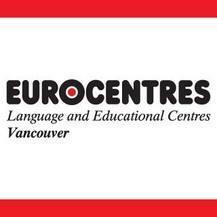 Eurocentres is certainly one of the best esl school in Vancouver. You won't have the feeling to go to school thanks to the wonderful teachers and the great atmosphere of the school. It definitely is the place to improve your English in one of the most beautiful city in the world. I really recommend it. Anonymous Student asked to post this review! The aim of this essay is to show sincere gratitude to the best English school that the writer has ever had the chance to develop his English in. It is better to be revealed initially, that he has been consistently studying English as a second language simultaneously with kicking off school for more than 20 years, and accordingly has had years of studying English in different schools in Iran, Malaysia & now in Canada in his background. For me, while there are lots of empowering feelings namely love, respect, and joy received, that will not be mentioned regarding the length of the text, it will not make any changes to the fact that those unforgettable memories will always remain in my heart, and as soon as something happens that may bring back any of those memories, related lessons will be automatically reviewed too. In addition to the fact that by practicing any of the 4 skills, all of the connected abilities will be inevitably improved too, each and every class has lots of lessons to be learnt; for instance, even in reading class there are lots of other lessons to be learned such as useful idioms, and new vocabularies. Not to mention that all the other people that I have been in contact with in here, have helped me improve my English and get a better score in one way or another, namely Chris, Gen, Cheryl, Paul from the exam department, and I will always be grateful for their care and supports. I have learned a lot, I am still learning every day, and I will continue to be learning a lot more, while it is not only English lessons with utilizing expressive communication and using faculty of English, but also many life lessons such as kindness, patience and openness. Since I believe without love or without saying nice words (English), there is no way to live life to the fullest, otherwise any other creature can do so, then another great reason for my comfort in EUROCENTRE comes from learning how to better use English from these lovely people. Moving to Canada cannot be considered as one of my greatest periods of life; it's not just because Canada is much colder compared to my country, Iran, and Rasht, the city where I grew up in, but because immigration in general can be pretty challenging for any grown-up. Moreover, even now that I am in a much better period of my Canadian experience, I still consider here as one of my greatest homes. For me each and every part of my days in here was a learning opportunity, and I have used many of those lessons in my life already, and I'm sure that I will remember them long time afterwards into the future. Other than those lessons that I've learned from my teachers in practice here, I have also learned a lot just by observing, while I believe there are more to EUROCENTRE than just learning, because here I have always had fun; from a memorable music video that one of my teachers had brought up for the class one day, to an unforgettable day another instructor has made for the class by the passionate way of teaching and team-work activities. All in all, I would like to send my sincere gratitude to all of the people that I have had the opportunity to get in contact with, although I am confident to be sure that the rest of this wonderful crew are as admirable. I am Miriam I like the school, the staff is so kind with me all the time since I arrived, I am crazy about the Vancouver city I am improving my English skills, teachers are so helpful and I met many friends from other countries. I like the digital white boards and the image of the school.